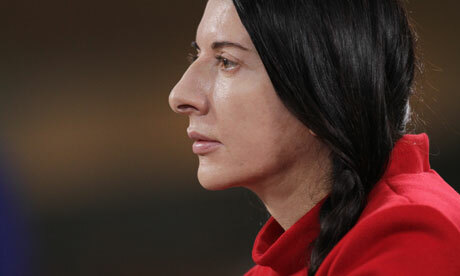 As I begin my interview with performance artist Marina Abramovic, I expect to talk about many things. There was the time, for example, when she set herself on fire, or when she lived with Aborigines in the Central Australian desert for five months, or when she recently sat in silence for over 700 hours. What I’m not prepared for is a conversation about bean soup. “I love cooking bean soup,” Abramovic confesses in her thick Slavic accent as she talks to me via Skype from the kitchen of her rural home in upstate New York. Abramovic has escaped here from Hurricane Sandy and from a Manhattan studio rendered powerless by the effect of the storm. Her conversation has a similar effect and very soon I am mesmerised by the artist’s flirtatious charm, generosity, and self-deprecating wit. 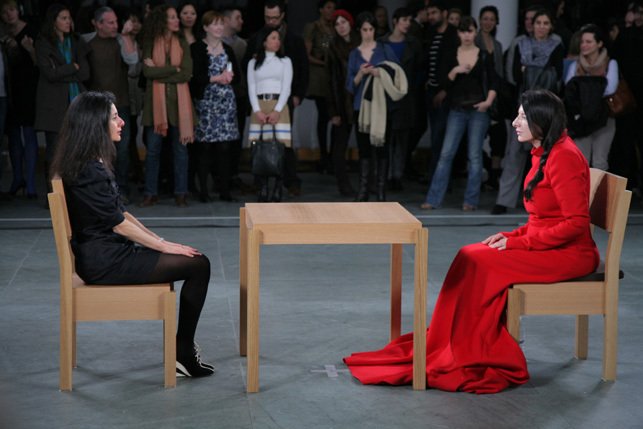 Even when she is not performing, Abramovic has the power to transfix. Abramovic may not enjoy the widespread public recognition commanded by some of the luminaries attending this year’s Abu Dhabi Art, but she arrives for a ‘conversation’ at the fair in the ascendant and amidst great excitement. 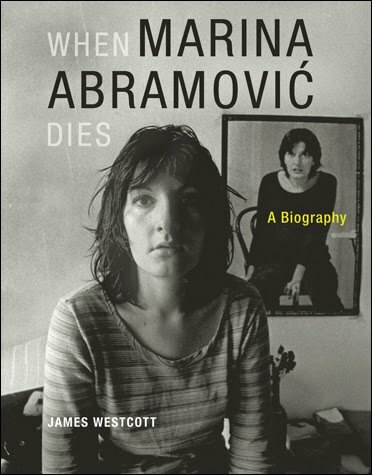 Abramovic is the ultimate artist’s artist, a position that most critics would say is well deserved after forty years defined by great personal sacrifice and very real physical and psychological risk. 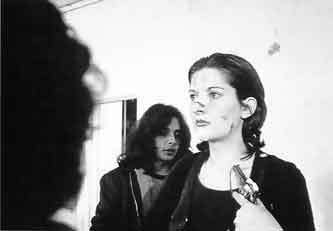 During that time, Abramovic has stabbed her hand with knives, cut herself with razor blades, and flagellated herself. Despite Abramovic’s insistence on the ephemeral nature of her work – “You have to be there to see it, otherwise you miss it,” – some ofits overwhelming power is palpable even on film. Visitors to Abu Dhabi Art can experience this for themselves in a video of Rest Energy exhibited by Lisson Gallery in a small retrospective of her work that features at the show. 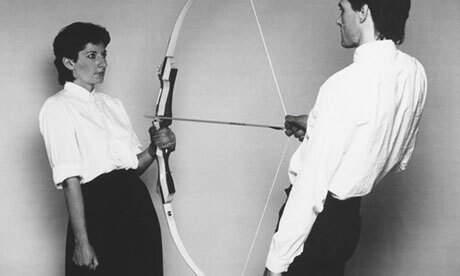 Performed in 1980 with Ulay, the artist who was Abramovic’s collaborator and partner from 1976 to 1989, Rest Energy places the artists in a position of “total trust” as they stand, facing but leaning away from each another, holding a real bow and arrow under tension, with Ulay on the string and the arrowhead aimed directly at Abramovic’s heart. Microphones pick up the alarming creak of the bowstring, the couple’s racing heartbeats, and their whimpers as they struggle to maintain their balance and grip on the weapon that will safeguard Abramovic’s life. Despite knowing the outcome I find myself transfixed by the artist for the second time in as many days. The danger of the performance appals me, but again I am powerless to avert my gaze. 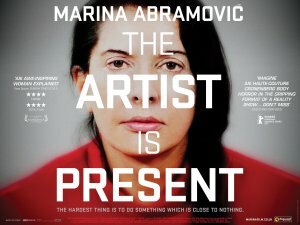 Ironically, it is a feature-length documentary, Matthew Aker’s The Artist is Present, that has contributed Abramovic’s current fame. 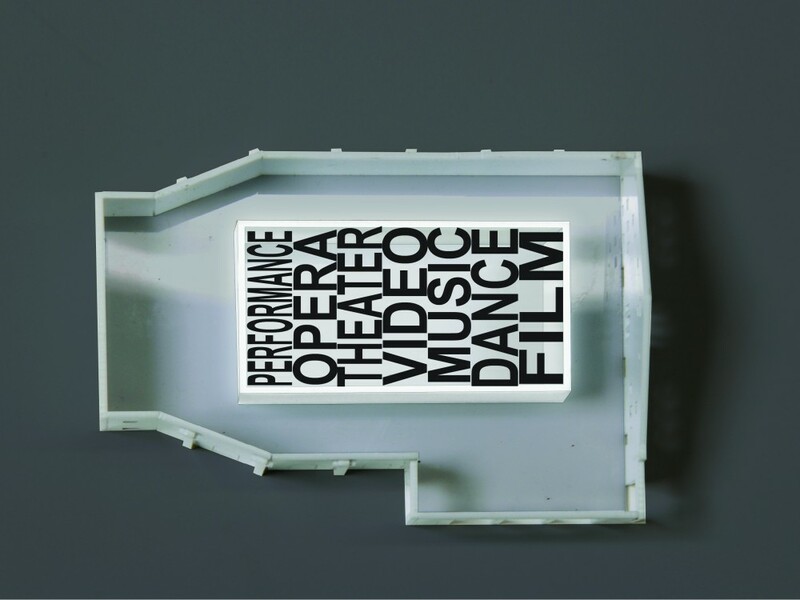 Released earlier this year, the film charts the eponymous retrospective held at the Museum of Modern Art (MoMA) in New York in 2010, the first show of its type ever held for a performance artist at the museum. 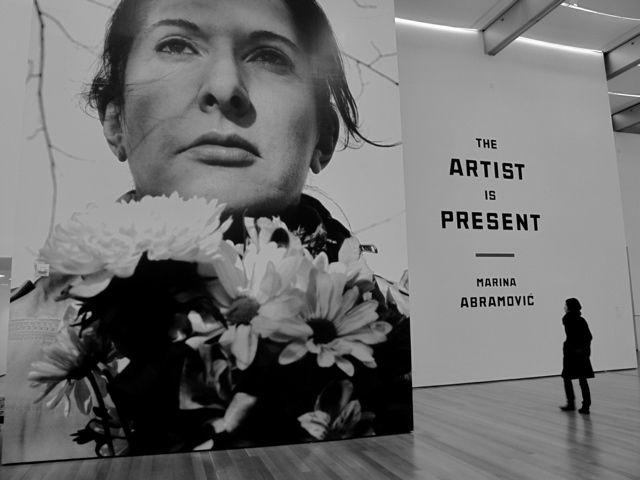 For The Artist is Present, Abramovic sat at a small table in MoMA’s huge atrium for seven and a half hours a day, every day, for three months, waiting to meet the gaze of anybody who might choose to sit opposite her. 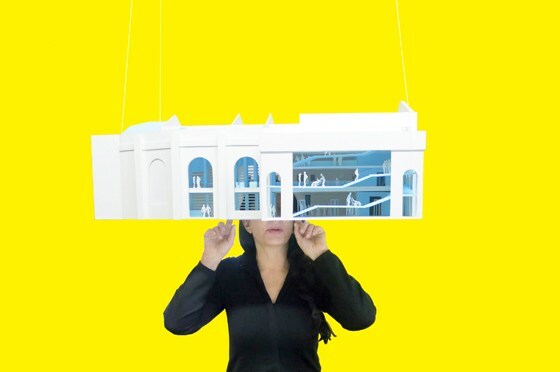 An architectural model of OMA’s proposal for the Marina Abramovic Institute in Hudson, NY. Central to Abramovic’s concept for the Institute is the ‘Abramovic method’, the process of preparing the audience to receive something new. “When you come to my Institute, you will sign a contract with me that you will stay for six hours otherwise you can’t come in. If you give me the time, I will give you the experience but you have to give me the time. You are giving me your word of honour… I know this is very old-fashioned but I come from an older society where people really appreciate that. This is something I hope that people in Abu Dhabi will understand quite well.” After only 40 minutes spent in Abramovic’s virtual company, I have no doubt that they will.